Pity car manufacturers trying to establish the gravitas, brand name reputation and sheer presence of long-established marques. Hyundai has been fighting that battle since its introduction to Australia, and despite having a range of cars that vary from competent to exceptional, still way undersell the numbers that they’d achieve with identical cars fitted with different company badges. 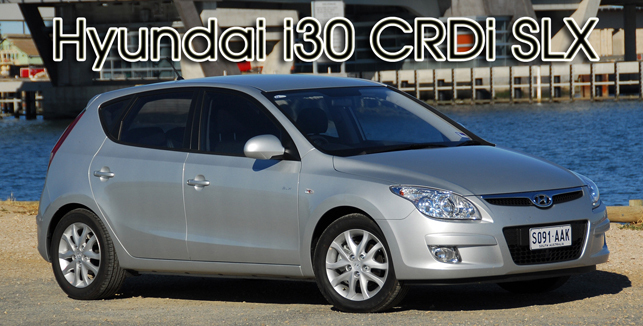 Take the i30 CRDi. For its price, this diesel-powered car is simply staggeringly competent. The 2009-update model – the one we drove in SLX form – is in most versions a 5-star ANCAP crash test car. (The only model to miss out on this rating is the base SX when not fitted with the ‘Protectz’ pack comprising extra airbags.) Five stars is the best you can get. 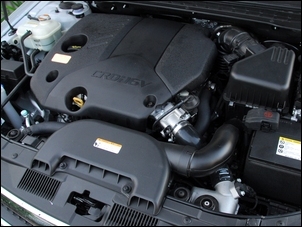 The 1.6-litre turbo-diesel has peak torque of 255Nm at 1900 – 2750 rpm and a max power output of 85kW. Those figures lend themselves to excellent real-world driving performance, with plenty of power low in the rev range. Fuel consumption in the government test cycle is an amazing 4.7 litres/100km (manual gearbox model – the auto trans cars are much thirstier at 6.0 litres/100km) and styling and build quality are right up there with the best in class. Warranty is 5 years with unlimited kilometres. And yet diesel pricing starts at only AUD$19,390 and even the more luxurious tested SLX, 5-speed manual model, comes in at only $26,390. On the road the car feels good. The 16-valve engine is tractable and can be trickled around at revs as low as 1200 – and then still pull away smoothly. That said, at 60 km/h you want to be in 4th gear, not 5th. The gearbox is also a little notchy – some people don’t like that while others enjoy the positive feedback that the next gear has been selected. The power delivery is progressive (it’s hard to catch the variable geometry turbo off-boost) and the point-and-squirt performance in urban areas is excellent. 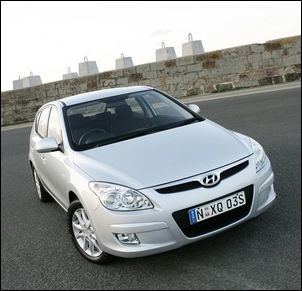 The i30 is an easy car to step into and immediately drive smoothly and well. However, as you’d expect with 85kW and 1400kg, open-road overtaking requires planning. On the highway the car is also a little affected by the bow waves of passing trucks. The NVH from the diesel engine is a bit higher than that from an equivalent petrol engine. Despite the use of a balance shaft in the engine, at idle there’s some vibration through the steering wheel and gear knob. The ride is firm and strongly damped – if you’re expecting cushy, luxurious ride quality, you won’t get it. However, the corollary of that is safe, effective handling. The combination of a little understeer and the electronic action of the standard stability control system results in a car that is quick point-to-point but in an unfussed way. However, the outright grip of the Kumho Solus KH15 tyres on 16 inch alloy rims is not great – owners should explore better tyre options when the originals wear out. The power steering – like the suspension, calibrated specifically for Australia – is well-weighted but a little lacking in feel. Indicative of the depth of development of the i30 is the use of a multi-link independent rear suspension design, not the common-in-this-class cheaper torsion beam rear axle. The interior is well designed. The instruments and controls are excellent, being clearly labelled and easy to see. 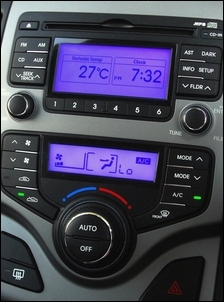 However, there is an exception – the blue LCD in the centre of the instrument panel is prone to reflections and can be hard to read when wearing sunglasses. The rear doors open wide, and rear toe- and head-room are very good. Rear seat knee-room is adequate. Front space is excellent but the door pocket drink bottle holders suit only very small bottles. The rear door pockets are also small. The glove-box is air-conditioned – you can turn this facility off if you don’t want a cold handbook. The seats have good side support, however, after a few hours of continuous driving, numb bums develop. The factory sound system is surprisingly poor for a current car, but at least it has a standard i-Pod USB input connection. The rear load area is large and the child restraint straps don’t pass across it – the anchors are built into the seat backs. The rear seat squabs tumble forwards before the seat backs fold, giving better space utilisation. On the test car, the left-hand side of the 40:60 folding seat folded flat but the larger section stayed slightly angled. The hatch has two pull-down handles and there are three concealed compartments under the boot floor. A full size spare wheel is provided. 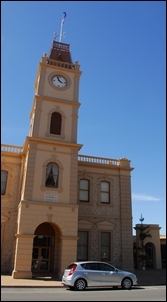 Our drive included a mix of country and urban kilometres. We achieved an overall fuel consumption of about 6.0 litres/100km – although the engine in the test car was still very young. The i30 diesel is a thoroughly up to date vehicle with excellent packaging, competent performance and very good fuel economy. At the same time, the car is a largely traditional package without any fancy transmission or engine technologies that might cost a lot to fix further down the track. It’s also a car that we can see suiting a very wide range of potential buyers – from families with two adults and two small children, to young single males or females, to retired couples. Thanks to AutoSpeed reader David Hille for loaning us his car for this story.